Johnson & Johnson’s new $10 billion stock buyback is a sensible regimen for its ailing shares. The $266 billion pills-to-Band-Aids group will use debt to finance the repurchase, adding to a healthy dividend. 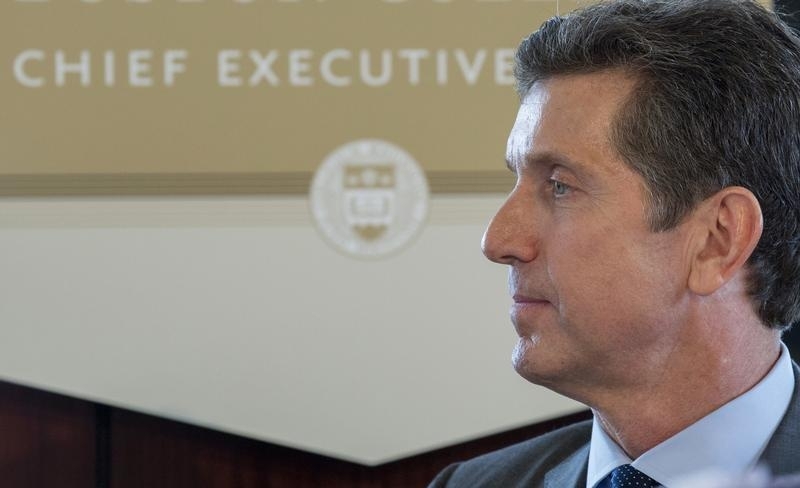 Chief Executive Alex Gorsky can credibly argue that currency swings and a full but slow drug pipeline make the stock undervalued. It’s a rare case when juicing the price is justified. Berkshire Hathaway boss Warren Buffett isn’t the only advocate of repurchasing shares – so long as they trade below the value of the underlying business. Buybacks allow CEOs to show confidence in their companies without committing to a payout that would be tough to cancel. Shareholders tend to like them because they aren’t taxed as dividends. The problem is that buybacks can create conflicts of interest. Executive compensation is frequently based on earnings per share, which go up when the number of shares drops. Managers can be tempted to buy overvalued stock to pad their bonuses, instead of investing spare funds more productively. American CEOs have been on a buyback tear recently. S&P 500 companies spent more than $550 billion on share repurchases last year, a 16 percent increase over the $475 billion they shelled out in 2013, according to Standard & Poor’s. Yet shares grew more expensive over that two-year period. In 2013, the average stock price for S&P 500 companies was 18.5 times reported earnings. Last year, it was more than 20 times earnings. It’s unlikely that everyone who launched a buyback was investing sensibly. For its part, Johnson & Johnson can comfortably handle the extra debt needed to retire about 4 percent of its market cap. Meanwhile, the company’s share price has slipped about 12 percent from last November’s all-time high of $109. Investors have been fretting about tepid growth and, more recently, exposure to foreign currency swings. J&J’s price-to-earnings ratio has also fallen from over 20 times two years ago to closer to 17 times today. That lags far behind competitors tracked by Thomson Reuters, whose stocks trade on average at about 23 times earnings. The good news is the steady performance of J&J shares, whose price was essentially unchanged on Tuesday despite disappointing third-quarter sales figures. That’s a good indication that the $10 billion share buyback may be just what the doctor ordered. Healthcare giant Johnson & Johnson announced on Oct. 13 that its board had approved a $10 billion stock buyback program as the company also reported third-quarter sales that missed analyst estimates. J&J said it would finance the share repurchases with debt. It did not set a time frame for the buybacks. The company’s revenue fell 7.4 percent to $17.1 billion during the three months ended in September, as a stronger dollar eroded the value of J&J’s overseas sales. Excluding the effects of currency values, revenue rose 0.8 percent. The company reported earnings of $1.49 per share, excluding special items, exceeding Wall Street estimates of $1.45 per share. J&J’s shares fell 0.1 percent in late morning trading on Oct. 13 in New York after the announcement.